Summary: Kumbulani Zamuchiya is an award-winning Zimbabwean film-maker focusing on civil rights abuses in his country. His documentary, “Voices from a Tent,” told the story of how villagers were evicted from their homes without compensation after a dam broke. Another film profiled Itai Dzamara, an antigovernment activist kidnapped by suspected state security agents in March 2014. Zamuchiya has been harassed and arrested by state police but remains committed to exposing government wrongdoing. Profile: First, there was a dam. Then, as a result of poor government planning, the dam broke, causing serious flooding that endangered the poor villagers of Tokwe Mukosi in Masvingo Province. The Zimbabwean Government evicted the villagers from their ancestral lands but without compensating them for uprooting their lives. 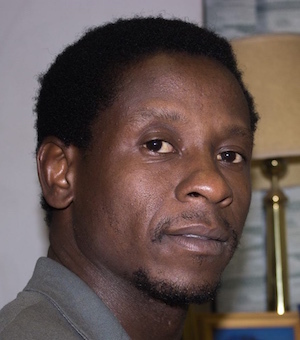 Zimbabwean filmmaker Kumbulani Zamuchiya made a documentary film about the episode; he called it “Voices from a Tent.” The film won many awards and brought new light on the abuses that the Government of Zimbabwe has inflicted upon its citizens. The Government was not happy. But this is what Zamuchiya does. He tries to expose government wrongdoing by using his skills to make films. The more people know about an event—particularly an event that stomps on citizens’ liberties—the more they will be inspired to action. Another of Zamuchiya’s films told the story of Itai Dzamara, an activist (and Giraffe Hero) abducted in March 2014 by suspected state security agents. The film traces Dzamara's vision and work as well as the events which led to his disappearance. The Dzamara film, predictability, did not earn Zamuchiya many friends in the government. He’s been arrested numerous times, the latest filming a demonstration of government employees who had not been paid their salaries.